Topic: Smokey and the Bandit on FAST N' LOUD! It appears Fast N; Loud is doing a special on the Bandit car. It's a 2 part show starting Tonight Monday 9pm and then this Saturday @ 9pm on Discovery Channel's Fast N' Loud. It looks like they are building a bandit and then must race it down to meet Burt Reynolds himself. 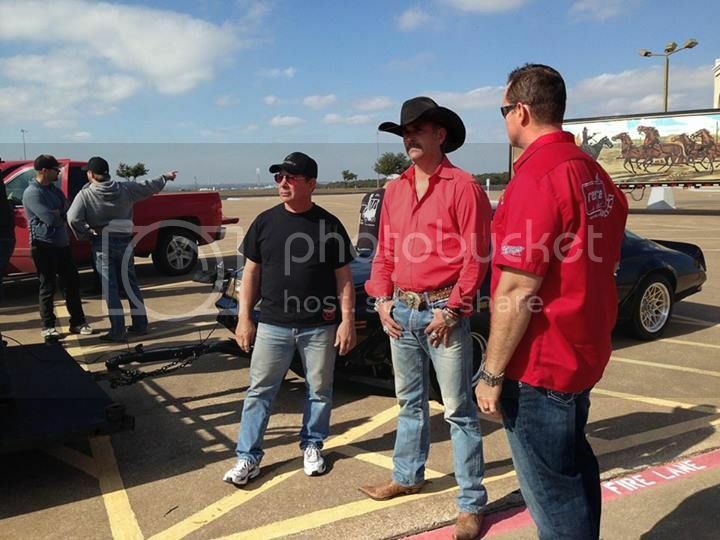 Re: Smokey and the Bandit on FAST N' LOUD! Me too. I love that show. It's on in 6 minutes! Those knuckleheads at Gas Monkey should know better than to beat on a stock 400 (well maybe not)- not surprising that the engine developed a knock. But I'm sure it took more than 10-15 minutes of donuts in the parking lot to wear out the rod bearings. Richard got taken for a ride buying a nice shiny TA with a bad engine, but I'm sure they'll get a 461 or 455 crate engine in it and make it worth the money the customer is paying for it. I don't think anyone paying $100k for a Bandit T/A is expecting a stock engine with only 220 hp. a TA guy talk about options, interior etc. Did anyone catch the "Code Word" to enter to win that Trans Am??? I completely missed it!! You can enter to win on the Gas Monkey / Discovery web-site but, you need the "code word".. I was reading the contest rules and they put a value of $100,000 on that car!! What?? Not sure if its worth that - but, id be a happy guy if i won it! are you sure it wasn't #BanditCar ? with the number sign! they are also giving away 40 grand with the car to pay the taxes and license.. When you say split the car, do you mean like - split custody.. Or split it with a chain saw? Watched that episode. Yeah that old engine ran like poop. Aaron thought he was just going to upgrade the "gears" and then ended up swapping in a new transmission.....I don't see how that would make the car worth $100K or even close to a good performance setup. Hopefully the new engine they drop in will have some balls. I entered the drawing just now not cause I want that car but because I want parts off it for my TA Specifically the brakes and some other odds and ends.